Structure: Each market moved progressively more vertical before crashing. Bubble: Each market bubbled upward to an unsustainable level and collapsed. Timing: Few predicted the dates or prices for these bubble tops, but many observed their bubble characteristics. The Public: The charts show that each market moved vertically as the public bought into the “get rich” narrative late in the cycle. Many people lost savings and retirement when these bubbles imploded. 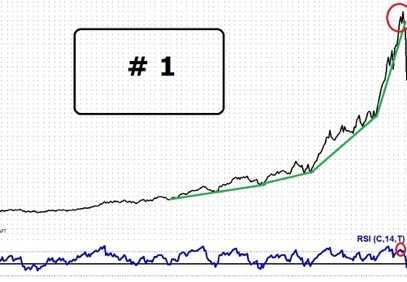 The NASDAQ 100 Index when it bubbled upward from 1995 to early 2000. Gold from 1976 to early 1980. Crude Oil from 2003 – 2008. The NASDAQ 100 took 15 years to regain its 2000 high of about 4,800. Gold took 28 years to surpass its 1980 high of about $850. Crude Oil has not reached its 2008 high of $147. Other markets have bubbled higher to unsustainable levels amid public belief in such delusions as: prices can not go down (e.g. real estate), this time is different, the Fed has your back, traditional measures of value no longer apply, and more. WHAT ABOUT DELUSIONS AND BUBBLES TODAY? Consider three prominent markets in daily news. The Dow is followed by millions of investors, Amazon stock is widely owned (The Swiss Central Bank owns in excess of $1 billion in Amazon stock) and Bitcoin is the current obsession. 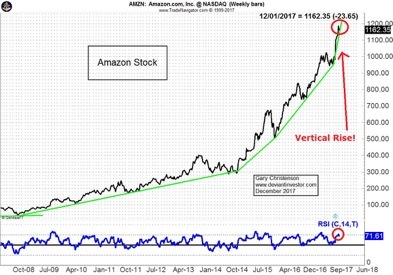 The charts for the Dow, Amazon, and Bitcoin look similar to past charts for the NASDAQ 100, Gold, and Crude oil as they bubbled higher to unsustainable levels. Markets, currencies, stocks, cryptocurrencies, metals, beanie babies, hula hoops, pet rocks, internet companies, ICOs, paintings, London property, and Florida condos occasionally capture the public’s imagination. When that happens they move too far and too fast and inevitably correct. 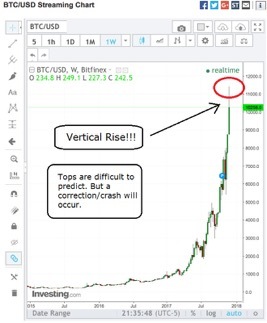 Extended Vertical Rise, Correction or Crash? For most people this is the wrong question. Ask instead if the RISK in a market moving nearly vertically is worth the potential reward for any remaining appreciation. The DOW, Amazon, and Bitcoin, along with hundreds or thousands of stocks, have moved too far and too fast. Risk for the individual investor is high, especially when markets are heavily influenced by High Frequency Trading algorithms, tweets, central bank interventions, and news. If you are worried you may not exit in time … you’re probably correct. Is the Wait After the Crash Worth the Risk? If you rationalize that stock markets always rise, correct, and rise again, you’re probably correct. Governments and central banks continually devalue currency units and those devaluations push stock markets higher. If your exit from a bubble market is NOT timely, you might wait many years for markets to return to their bubble highs (e.g. NASDAQ – 15 years). During that wait the purchasing power of currency units will almost certainly fall. After you rode the correction or crash to the bottom … you must wait a considerable time to regain nominal break-even, but you will be paid in a currency guaranteed to devalue. OUCH! Gold and silver topped in 2011 and bottomed in late 2015. Both remain well below their highs. 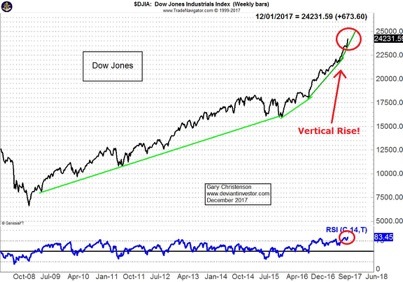 December 2016 and 2017 saw higher lows. Like stocks, gold and silver rise in price as central banks and governments devalue currency units. Unlike stock certificates, bonds, and Bitcoins, gold and silver have intrinsic value and a multi-century history of demand. Silver is used in many industrial and medical applications. Gold is valued in Asia and aggressively accumulated by Russia, China and India. The west values debt paper, an unfolding tragedy. 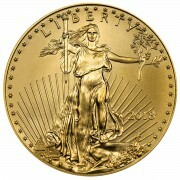 GOLD AND SILVER ARE INEXPENSIVE COMPARED TO STOCKS. Graph the ratio of silver to the NASDAQ 100 over 30 years. 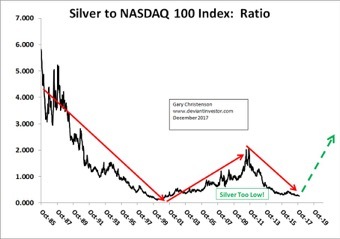 The ratio shows that silver is inexpensive compared to the NASDAQ, like it was at the NASDAQ peak in 2000. When the NASDAQ corrects and capital flows back into silver, the price of silver will rise rapidly. Graph the ratio of gold to the DOW over 30 years. 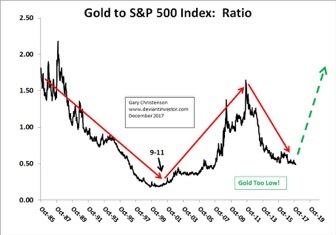 The ratio shows that gold is inexpensive compared to the DOW. Both will reverse. CAN PRECIOUS METALS PRICES RISE BY MUCH? 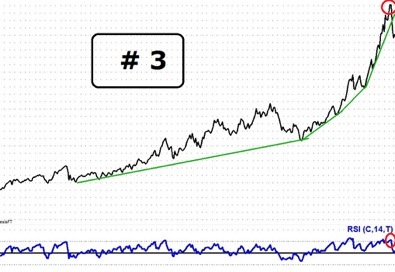 In 2003 when Apple stock sold for a split-adjusted $0.90, would you have believed it could rally over $175? In early 2009 when the S&P traded under 700, would you have believed a rally to over 2,600? When Bitcoin was valued under $10 a few years ago, who could have conceived a price over $12,000? The prices for metals could rise more than most people expect. HOW MUCH HIGHER FOR GOLD AND SILVER PRICES? We don’t know, but continually devalued currency units will force metals prices much higher. We don’t know, but as debt based paper markets fall from their bubble highs, much paper wealth will disappear. 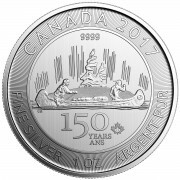 Capital will flow into gold and silver for safety, protection, insurance and anticipated price appreciation. We don’t know, but Russia, China, and India expect much higher prices for gold. JPMorgan has amassed a huge quantity of silver bullion (the real stuff, not the paper substitutes) according to Ted Butler. Asian governments, central banks and individuals as well as JPMorgan expect both metals will move much higher. Billions of people know that a gold coin is valuable, while they may not see value in a Treasury bill or a digital share of Amazon stock. (Disclosure. We order from Amazon and find the experience user-friendly, convenient, and inexpensive.) Regardless, the Amazon stock price will correct. Bubbles come in various shapes but all show near vertical price moves. 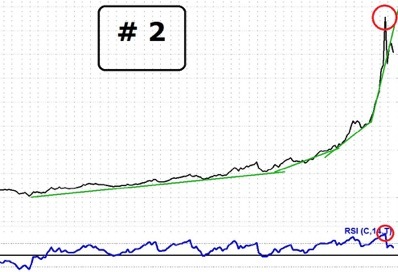 The DOW, Amazon, Bitcoin and many other stocks exhibit the characteristics seen in bubbles that imploded and destroyed much paper wealth in 1980, 1987, 2000 and 2008. Russia, China and India have accumulated tens of thousands of tons of gold bullion. The western world has created hundreds of $ trillions in debt paper that will default or be repaid in devalued currency units. Gold and silver are not in bubbles in 2017 and are inexpensive compared to the NASDAQ 100 and the DOW, as shown in the graphs above. 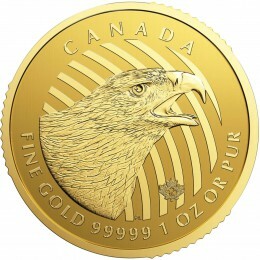 Similar ratios (not shown) indicate that gold and silver are inexpensive compared to total U.S. debt, currency in circulation, unfunded liabilities, government expenses, central bank assets, corporate stock buybacks, student loans, health insurance costs, military expenses, “food stamp” expenses, and wars. Risk is substantial in many paper markets, while risk is minimal for gold and silver at current 2017 prices. 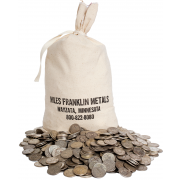 Call Miles Franklin at 1-800-822-8080 to protect your savings and retirement assets. Insurance to protect against ongoing central bank devaluations, imploding bubble assets, geopolitical risks and unpayable debt defaults is necessary.